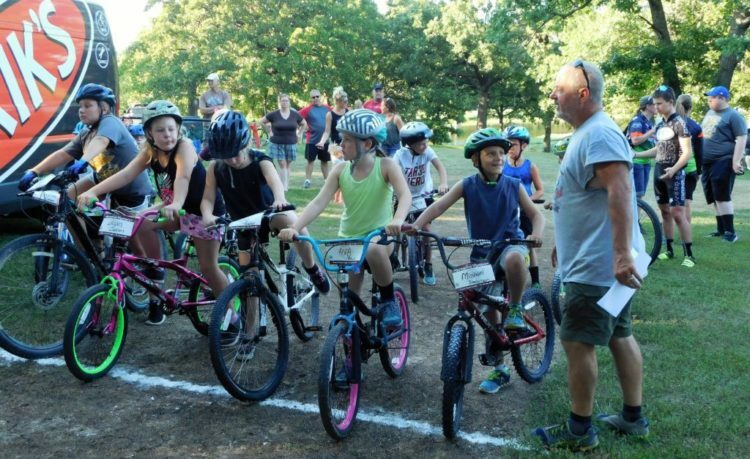 Frank Halsey speaks to a group of young riders in July before a mountain bike race at Gunn Park. An annual outdoors athletic event has tentatively been rescheduled for Oct. 20. The 6th Annual Tri-Yak-A-Thon, at Gunn Park Trails, was postponed for the scheduled race on Oct. 13, due to Marmaton River flooding. Organizers rescheduled tentatively for October 20. The Gunn Park Trails volunteers extend an invitation to enjoy the fall weather and watch the 6th annual Tri-yak-a-thon. 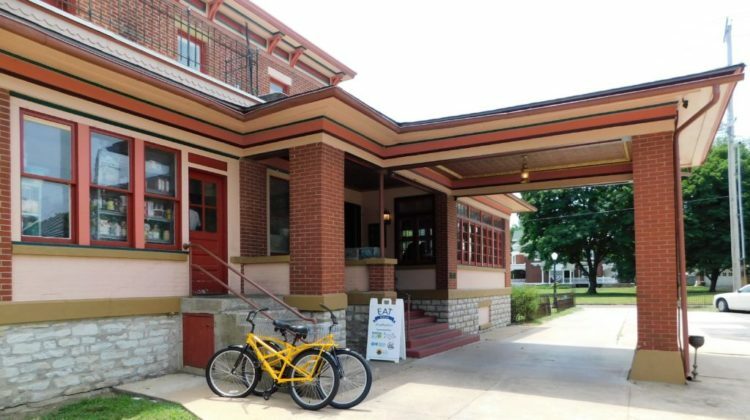 This year’s proceeds benefit the new City of Fort Scott Bike Share Program. The competition is scheduled on October 20 at 10:00 AM in Gunn Park. 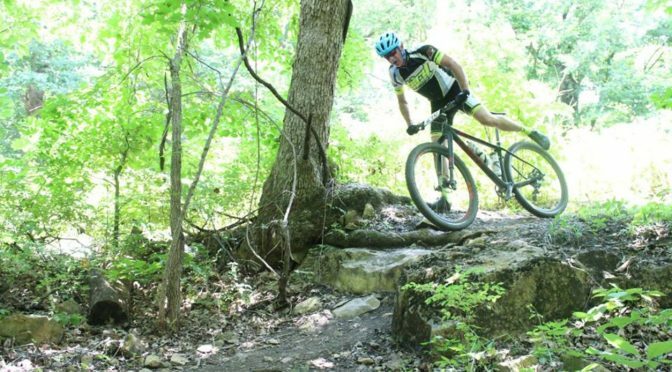 The trail run is approximately four miles, the kayak portion is 2.5 miles, and the final portion is a 7-mile mountain bike ride. Participants may be part of a relay team or do the entire race solo. Participants must bring their own kayak, life jacket, helmet, and mountain bike. Riders must wear a helmet. Onsite registration and packet pickup will be from 8:00 to 9:45 AM Oct. 20 at Shelter House 6. You can register online at https://www.trireg.com/tri-yak-a-thon. “Whether you enter the race or just come and cheer, please join us and support our park, our trails, and our bike share program,” according to the press release. Ten yellow bikes are available for community members and visitors to take and ride for free check out. Nate’s Place eatery, 750 S. National Avenue is a hub for Bike-Share. Riders must be at least 12 years of age to ride. If under 18 a parent/guardian must sign the waiver form. Hub location will take a copy of driver’s license upon bike check-out. Click here to view the waiver form.